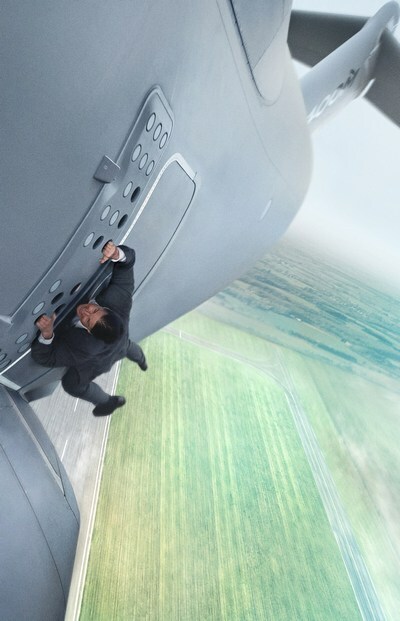 HOLLYWOOD, Calif.--(BUSINESS WIRE)--Hailed as “relentlessly thrilling” (Chris Nashawaty, Entertainment Weekly) and filled with “jaw-dropping stunts” (Scott Mendelson, Forbes), the global hit MISSION: IMPOSSIBLE—ROGUE NATION takes off on Blu-ray Combo Pack, DVD and On Demand December 15, 2015 from Paramount Home Media Distribution. The critically acclaimed action-thriller will also be available as part of the Mission: Impossible 5-movie Blu-ray collection, the perfect gift for the holiday season. 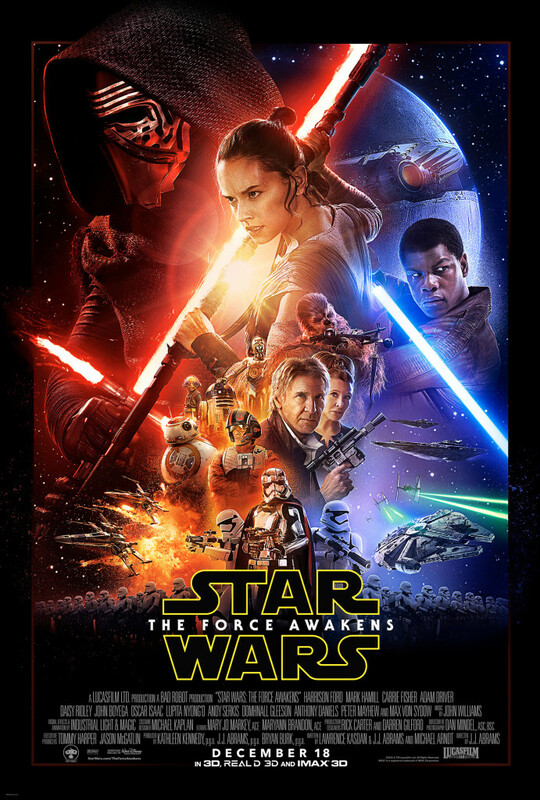 The film arrives four weeks early on Digital HD November 17, 2015. Loaded with “killer action and tight suspense” (Peter Travers, Rolling Stone), Paramount Pictures and Skydance Media’s MISSION: IMPOSSIBLE—ROGUE NATION was directed and written for the screen by Christopher McQuarrie. Tom Cruise, Jeremy Renner, Simon Pegg and Ving Rhames return to their iconic roles and the movie also stars Alec Baldwin and newcomer Rebecca Ferguson in a “star-turning role” (Brian Viner, Daily Mail) as a mysterious double agent. The MISSION: IMPOSSIBLE—ROGUE NATION Blu-ray Combo Pack with Digital HD is loaded with cast and crew interviews and a commentary by Tom Cruise and Christopher McQuarrie. Plus, get an inside look at the movie’s incredible stunts, including the jaw-dropping Airbus stunt, the nail-biting underwater sequence and the riveting Moroccan car and motorcycle chase, and much more. The Blu-ray Combo Pack also features a Dolby Atmos® soundtrack*, which delivers captivating sound that places and moves audio anywhere in the room, including overhead, to bring entertainment alive all around the audience. Paramount Pictures and Skydance Media present a Tom Cruise/Bad Robot Production: Tom Cruise “Mission: Impossible—Rogue Nation.” Starring Jeremy Renner, Simon Pegg, Rebecca Ferguson, Ving Rhames, Sean Harris and Alec Baldwin. Music by Joe Kraemer. Executive producer Jake Myers. Produced by Tom Cruise, J.J. Abrams, Bryan Burk, David Ellison, Dana Goldberg, and Don Granger. Based on the television series created by Bruce Geller. Story by Christopher McQuarrie and Drew Pearce. Screenplay by Christopher McQuarrie. Directed by Christopher McQuarrie. BEVERLY HILLS, Calif.--(BUSINESS WIRE)--Ahead of its Halloween premiere, STARZ Original series “Ash vs Evil Dead” has earned an early renewal for a second season from Starz. Strong fan, affiliate and distributor demand for the highly-anticipated premiere of “Ash vs Evil Dead” has generated the early pickup of the series which is the long-awaited follow-up to the classic horror film The Evil Dead. The 10-episode first season of the half-hour series features Bruce Campbell (Evil Dead, “Burn Notice”) as Ash Williams; Lucy Lawless (“Salem,” “Spartacus”) as Ruby, a mysterious figure who believes Ash is the cause of the Evil outbreaks; Ray Santiago (“Touch,” Meet the Fockers) as Pablo Simon Bolivar, an idealistic immigrant who becomes Ash’s loyal sidekick; Dana DeLorenzo (A Very Harold & Kumar 3D Christmas) as Kelly Maxwell, a moody wild child trying to outrun her past; and Jill Marie Jones (“Sleepy Hollow”) as Amanda Fisher, a disgraced Michigan State Trooper set to find our anti-hero Ash and prove his responsibility in the grisly murder of her partner. SAGA #31 (Diamond code: SEP150597) hits stores Wednesday, November 25th, 2015. Final order cutoff deadline for retailers is Monday, November 2nd, 2015. Held each year, Halloween ComicFest is celebrated at scores of comic shops and retailers nationwide on the Saturday before Halloween. 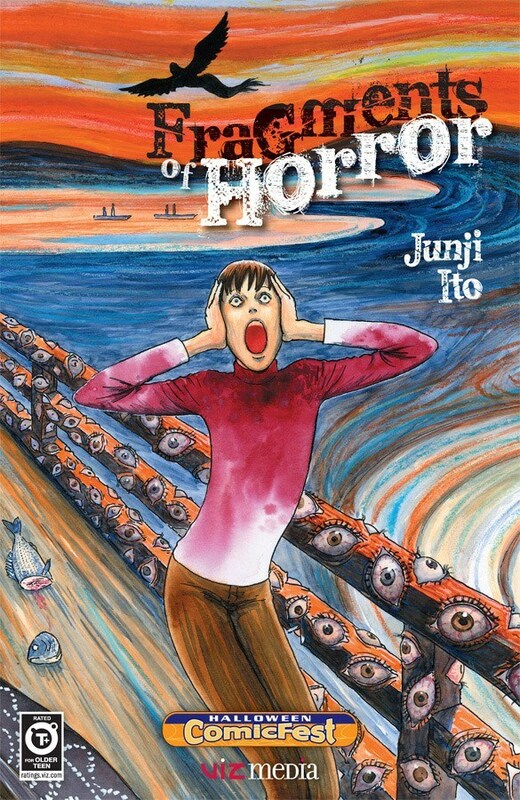 On this day, participating shops offer fans and visitors FREE Halloween ComicFest samplers filled with previews of exciting upcoming titles. For additional information and a list of participating retailers, please visit: www.halloweencomicfest.com. From Thompson: Ben Affleck starts filming "Live By Night." From TheIntercept: On the new film, "Truth," and Dan Rather's real-life stumble. From Variety: Rihanna joins Luc Besson's "Valerian." From Variety: Elizabeth Banks will direct "Pitch Perfect 3." From Indiewire: Common is the villain in "John Wick 2." From Variety: Idris Elba and Oscar-winner Octavia Spencer added to the voice cast of Disney's animated "Zootopia." From TheWrap: Danai Gurira (Michonne of "The Walking Dead") wrote a play, "Eclipsed." It is headed to Broadway with Lupita Nyong'o. From TheWrap: Quentin Tarantino leads NYC really against police brutality. 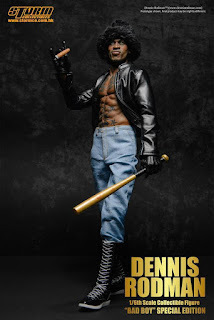 From BleedingCool: Re: "The Walking Dead" - is he dead? From TheWrap: 5 fan theories about Glenn. From BoxOfficeMojo: "The Martian" returns to the #1 spot for the 10/23 to 10/25/2015 weekend box office with an estimated take of $15.9 million. 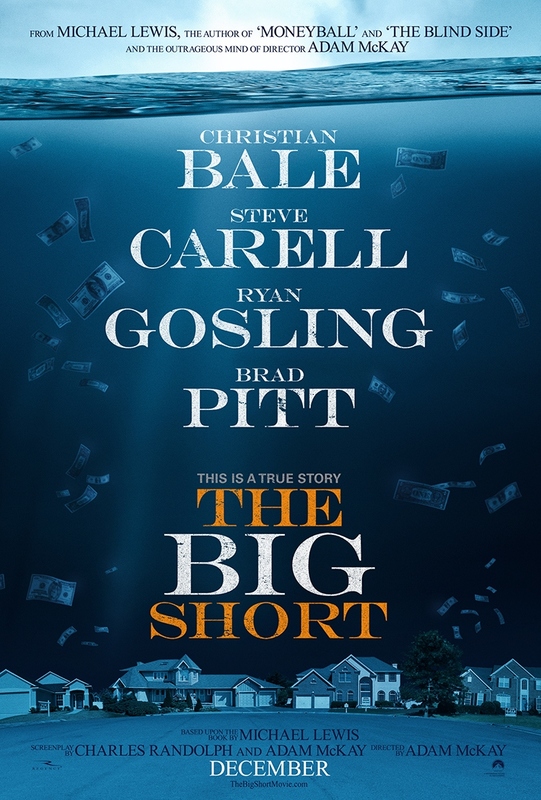 From YahooMovies: Four new movies; four flops. From SlashFilm: "Super Troopers 2" has begun filming. From EntertaimentWeekly: NBC will reboot Steve Spielberg's 1980s anthology series, "Amazing Stories," which was originally broadcast on NBC. From Indiewire: Terry Gilliam's mixed reaction to "Ant-Man." From FlickeringMyth: "Captain America: Civil War" trailer next week or maybe not. From YahooMovies: Jared Leto's ridiculous take on Joker makes the cover of Empire mag. From YahooTV: Beyonce cosplayed as "Storm" of the X-Men at singer Ciara's 30th birthday party. 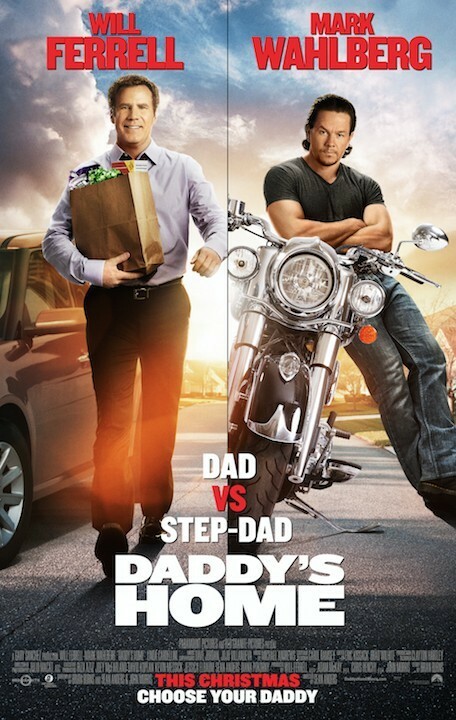 From YouTube: New trailer for "Daddy's Home" with Will Ferrell and Mark Wahlberg. It's really funny; hopeful the movie is, too. From ComicBookBin: This website, for which I write, has a short review of "Spectre" posted by one of the writers who apparently recently saw the film. From BETNews: "Office Slam" is fired in South Carolina. From YahooPolitics: It's true. Somebody had to say it, even if it is Trump. From CinemaBlend: The actress Maureen O'Hara has died at the age of 95 (Saturday, October 24, 2015). The ginger-haired actress was best known for John Ford's 1952 film, "The Quiet Man," in which she co-starred along with friend, John Wayne. They co-starred together several time, including in one of my favorite film, 1971's "Big Jake." Produced by Hanna-Barbera Productions, “Jonny Quest” was an animated science fiction adventure television series that was originally broadcast on ABC in prime time. Created and designed by Doug Wildey, the series lasted one season (1964-1965) for a total of 26 episodes. “Jonny Quest” focused on Jonathan “Jonny” Quest, an 11-year-old boy who accompanies his genius scientist father on extraordinary adventures. Tom and Jerry: Spy Quest opens on a beach in “sunny South Florida.” Tom and Jerry are having a relaxing day at the beach, which means they are harassing each other. Then, the duo encounters Jonny Quest (Reese Hartwig) and his best pal, Hadji (Arnie Pantoja), accompanied by their canine companion, Bandit, of course. It seems that a trio of cyborg cats are trying to kidnap the trio, until Tom inadvertently saves them. Jonny and Hadji take their new friends, Tom and Jerry, to Quest Key, the location of their home and also of Quest Labs. Tom and Jerry are introduced to Jonny's father, Dr. Benton Quest (Eric Bauza), and Jonny's bodyguard, Race Bannon (Michael Hanks). Why does Jonny need a bodyguard? Dr. Quest is a world-renowned genius scientist and inventor, and bad people try to kidnap Jonny to use him as leverage to force Dr. Quest to give them his inventions. In fact, longtime Quest family nemesis, Dr. Zin (James Hong), wants Dr. Quest's latest invention, the “Q Sphere,” a device that will solve the world's energy problems. After Zin kidnaps Dr. Quest and Race, Tom and Jerry join Jonny, Hadji, and Bandit on a trip to “Zin Automated Battle Island,” on a rescue mission, where an evil cat army and powerful robots await them. 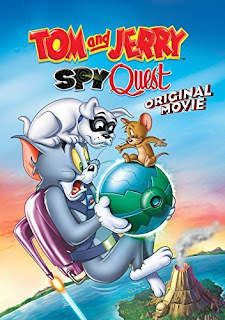 Tom and Jerry: Spy Quest can be described as “The Adventures of Jonny Quest” with Tom and Jerry as, at best, supporting characters, or, in actuality, guest stars. That is not a bad thing. James Krieg and Heath Corson have written a Jonny Quest story that recalls the classic, original 1960s series, while maintaining the general wackiness that is Tom and Jerry. Yeah, the appearance of Jonny Quest recurring character, Jezebel Jade (Tia Carrere), seems obligatory, but the appearance of the bumbling Tom and Jerry adversaries, Tin, Pan, and Alley, balances that. Corson and especially Krieg seem to know what made classic Hanna-Barbera animated series successful and also have a knack for reviving those elements that made them classics. 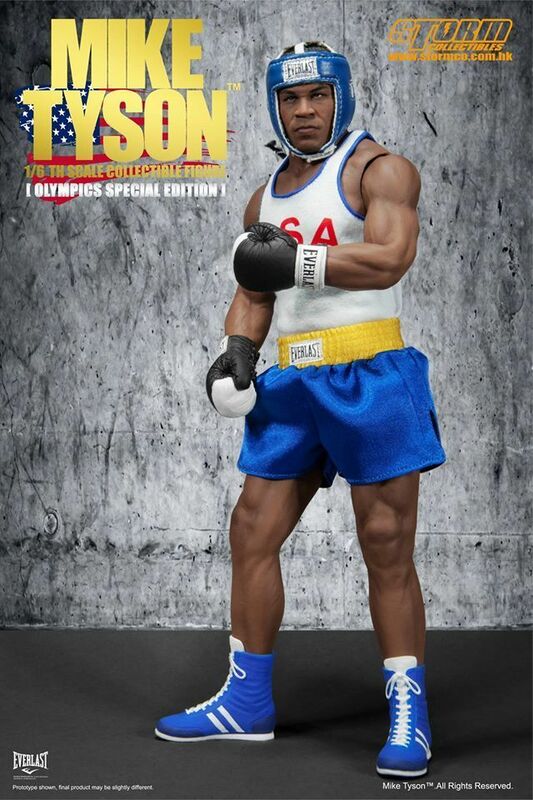 Kudos to the art direction. Quest Key, the Quest Lab interiors, and the island location of Dr. Zin's base of operations, including its interiors, recall Hanna-Barbera's animated science fiction adventure television series of the 1960s and 1970s. Spike Brandt and Tony Cervone, the producing and directing team behind the Tom and Jerry direct-to-DVD films, always seem to have a way to keep this series going. Just when I think that it is time to stop, they produce an entry that leaves me awaiting the next. And with Tom and Jerry: Spy Quest, they also made a good Jonny Quest direct-to-DVD film. 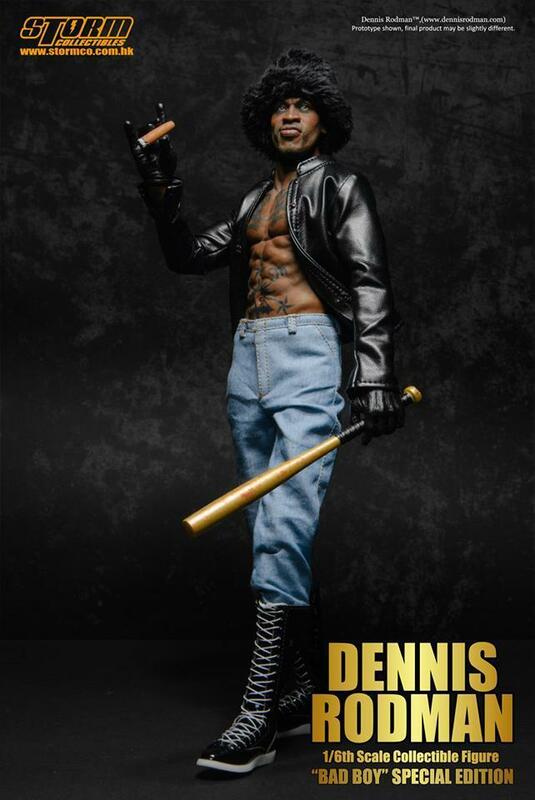 Irvine, CA – Bluefin, the leading North American distributor of toys, collectibles, and hobby merchandise from Japan, Hong Kong and more, is proud to welcome its newest partner – Hong Kong-based Storm Collectibles – and the debut of a pair of new, realistic 1/6 scale collectible figures. 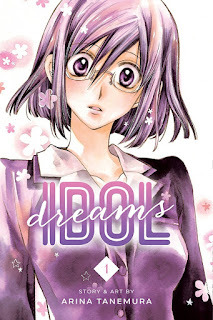 San Francisco, CA – VIZ Media, LLC (VIZ Media), the largest distributor and licensor of manga and anime in North America, brings Arina Tanemura’s newest manga (graphic novel) series to fans and readers with the launch of IDOL DREAMS on November 3rd, 2015. IDOL DREAMS is rated ‘T’ for Teens and will be published in print under the Shojo Beat imprint with an MSRP of $9.99 U.S. / $12.99 CAN. 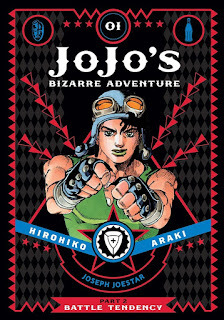 The series also launches digitally on November 3rd via VIZManga.com and the VIZ Manga App, as well as from the Nook, Kobo, Kindle, iBooks, comiXology, and GooglePlay stores. Shojo manga creator Arina Tanemura has drawn wide acclaim for her prior works, which include FULL MOON, THE GENTLEMEN’S ALLIANCE †, and SAKURA HIME: THE LEGEND OF PRINCESS SAKURA (all available from VIZ Media). In IDOL DREAMS, a career woman radically transforms her physical appearance into her teenage self with the aid of an experimental drug to seize the missed chances of her youth. VIZ Media will publish future volumes of the series, which is continuing in Japan, on a quarterly basis. Manga creator Arina Tanemura began her manga career in 1996 when her short stories debuted in Ribon magazine. She gained fame with the 1997 publication of I•O•N, and ever since her debut Tanemura has been a major force in shojo manga with popular series such as PHANTOM THIEF JEANNE, TIME STRANGER KYOKO, FULL MOON, SAKURA HIME: THE LEGEND OF PRINCESS SAKURA and THE GENTLEMEN’S ALLIANCE †. Both PHANTOM THIEF JEANNE and FULL MOON were adapted into popular anime TV series. I•O•N, TIME STRANGER KYOKO, FULL MOON, SAKURA HIME: THE LEGEND OF PRINCESS SAKURA, PHANTOM THIEF JEANNE and THE GENTLEMEN’S ALLIANCE † are published in English by VIZ Media. For more information on IDOL DREAMS or other manga titles published by VIZ Media, please visit www.VIZ.com. Oscar Nominee, Nia Vardalos, Joins EPIX's "Graves"
NEW YORK--(BUSINESS WIRE)--Premium TV network EPIX® announced today that Academy Award® and Golden Globe ®-nominee, Nia Vardalos (My Big Fat Greek Wedding), has been cast in a recurring role on Graves, a single-camera half-hour political satire starring Nick Nolte and Sela Ward, and produced by Lionsgate. Vardalos will play Annie Novak, a top political consultant with a killer instinct, who is hired to manage Margaret's (Sela Ward) potential Senate campaign. She and Margaret go way back; in fact, Margaret gave Annie her first job, and their old bond is still strong. However, Annie has to understand that Margaret's first loyalty is to her husband (Nick Nolte). Vardalos, an alumna of the famed Chicago-based Second City sketch comedy company, is the screenwriter and lead actress of the sleeper hit My Big Fat Greek Wedding which earned her an Oscar® nomination for Best Writing and a Golden Globe® nomination for Best Actress. She has just completed acting in her screenplay My Big Fat Greek Wedding 2, which she also produced. Her acting credits include the films My Life In Ruins, Connie and Carla (which she also wrote), as well as numerous guest appearances on television shows such as “Jane the Virgin,” “Law & Order: SVU” and “Grey’s Anatomy.” Vardalos directed and starred in the feature film I Hate Valentine’s Day and co-wrote Larry Crowne starring Tom Hanks and Julia Roberts. She is also a New York Times Bestselling Author for her 2013 memoir, Instant Mom, and donates all book proceeds to adoption groups. Angélica Maria ("Qué Bonito Amor") as Ramona Alvarez. Its feature film business has been fueled by such successes as the blockbuster first three installments of The Hunger Games franchise, the first two installments of the Divergent franchise, The Age of Adaline, CBS/Lionsgate’s The DUFF, John Wick, Now You See Me, Roadside Attractions' Love & Mercy and Mr. Holmes, Lionsgate/Codeblack Films’ Addicted and Pantelion Films' Instructions Not Included, the highest-grossing Spanish-language film ever released in the U.S.
VIZ Media Announces Next Arc of "Jojo's Bizarre Adventure"
San Francisco, CA – VIZ Media, LLC (VIZ Media), the largest distributor, publisher and licensor of anime and manga in North America, announces the release of the electrifying next chapter of the acclaimed multi-generational paranormal action manga (graphic novel) series – JOJO’S BIZARRE ADVENTURE – with the release of JOJO’S BIZARRE ADVENTURE: PART 2 — BATTLE TENDENCY, Vol. 1 on November 3rd, 2015. From HitFix: The movies Spielberg wishes he'd made. From ChicagoMagazine: Spike Lee: Rahm Emanuel tried to bully me. From Deadline: George Clooney set to direct a script by Joel and Ethan Coen. From Variety: R.J. Cyler of "Me and Earl and the Dying Girl" is the "Blue Ranger" in the Lionsgate reboot. From GoldDerby: An article about best animated feature dark horse, Anomalisa. From Variety: Fox is apparently re-imagining "Rocky Horror Picture Show" as a TV special. Laverne Cox of "Orange in the New Black" has been cast as "Frank-N-Furter." From Variety: Chris Rock may host the 88th Oscar ceremony. From CinemaBlend: Fox may have found a director for its future box office disappointment, Gambit, an X-Men film starring Channing Tatum. That might be Doug Liman. From BoxOfficeMojo: "Goosebumps" wins the 10/16 to 10/18/2015 weekend box office with an estimated take of $23.5 million. From CinemaBlend: Marvel's next wide idea. From TheWrap: David Goyer is developing a TV show about Superman's home planet, Krypton, for the Syfy Channel. From Empire: "Ant-Man" director, Peyton Reed, is in negotiations to return for the 2018 film, "Ant-man and the Wasp." From CinemaBlend: "Ant-Man" is a big hit in China. From YahooNews: 112 views in 24 hours. From CinemaBlend: The final trailer is here. From YouTube: See the new trailer for David O. Russell's "Joy" starring Jennifer Lawrence. Ex Machina is a 2015 science film from writer-director Alex Garland. The film focuses on a young programmer chosen to evaluate a female A.I. on her human qualities. 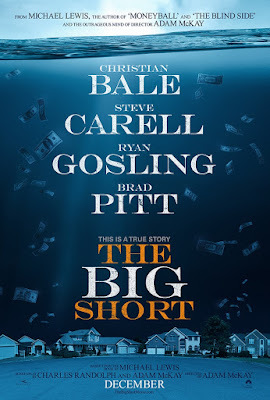 Oscar-winning producer Scott Rudin is one of this film's executive producers. Ex Machina introduces Caleb (Domhnall Gleeson), a programmer working for Bluebook, the world's most popular search engine. Caleb wins a company-wide contest to visit the company's CEO, Nathan (Oscar Isaac), at his secluded home and research facility. Shortly after he arrives, Caleb learns that Nathan has built a humanoid robot (or android) named Ava (Alicia Vikander) that possesses artificial intelligence (A.I.) Nathan wants Caleb to administer “the Turing test” to Ava. This test is designed to measure an A.I. 's ability to persuade the tester that it is human. Ava is breath-taking in appearance, and Nathan discovers that he can relate to her despite knowing that she is artificial. Ava may be an android, but her feminine wiles prove to be more formidable than Caleb could ever imagine. Alex Garland has proved to be a talented novelist and filmmaker. His wrote the screenplay for the film, Dredd, one of the best film adaptations of a comic book to be released this decade. In Ex Machina, he makes use of special effects in subtle ways, and that serves to make this film seem both plausible and tangible. Like Spike Jonze's Her, Ex Machina seems to be set in some near-future, a decade or so from now. The manner in which Garland presents Ava makes it seem as if a sentient android A.I. is just a few years from appearing. In fact, this movie makes me believe that somewhere in our world, in a hideaway compound, nestled in the mountains, a billionaire tech genius is probably halfway to making his own Ava. Ex Machina is stylish, but substantive, but where it is spare, beauty comes through. It is as if Garland uses an eye-candy aesthetic to spin his ideas and theories. He shrewdly intertwines romance, character melodrama, dramatic conflict, and pulp thrills while composer Geoff Barrow's score enhances everything to great affect. In fact, Barrow has invented a “soundscape” that makes Ex Machina less ethereal and speculative, but more vivid and life-like. This shrewd, speculative science fiction film could not work without high-quality performances from its actors. It should be no surprise that Oscar Isaac delivers a complex man who is maddeningly fascinating and repulsive in Nathan. Isaac's presence is so strong that it is hard to believe that Nathan is apparently a “supporting character.” Isaac is about to blast off into wider fame in the upcoming Star Wars: The Force Awakens, and so is his costar, Domhnall Gleeson, who is also appearing in the seventh installment of the Star Wars film franchise. Gleeson delivers a complicated character in Caleb. Other than realizing that he is smitten with Ava, the viewer might find Caleb hard to figure out. The character is well written, and Gleeson translates that into a character that, like a real person, hides so much behind the facade of his face. Alicia Vikander also seems to be close to being a breakout actress, but perhaps she will prove to be a fine dramatic actress instead of merely being a pretty face who is cast in splashy Hollywood flicks for a few years. Her layered, textured performance makes Ava seem spare, aloof, mysterious, and even cold. However, Vikander makes you believe that there is so much more to Ava, more than anyone, even her creator, can ever know. With its themes that recall Frankenstein, Ex Machina is a sleek film with both Gothic and futuristic sensibilities. As much as I like it, I find the last 10 minutes of the film to be flimsy because the ending seems tacked on more than it seems predictable (which it is). Despite that, I still think that Ex Machina is an exceptional science fiction film that is worth watching. Consider it a cautionary tale about our future or perhaps, consider it a sign post along the road to the Twilight Zone. NEW YORK--(BUSINESS WIRE)--CENTRIC today announced that the SOUL TRAIN AWARDS 2015 will be hosted by the incomparable singer-songwriter Erykah Badu. The hippest trip led by the illest chick will celebrate soul music’s R&B legends alongside the next wave of talented artists. Filmed November 6, 2015 at the Orleans Arena in Las Vegas, the SOUL TRAIN AWARDS will air on CENTRIC and BET on November 29th, 2015 at 8PM ET. Another fun addition for visitors to look forward to is the full SOUL TRAIN WEEKEND November 5-7. Packages are on sale now on Ticketmaster.com, starting at $800. Individual tickets can be purchased for the Centric Presents Soul Train Awards at Orleans Arena (orleansarena.com) and the Soul Train Weekend Concert featuring R. Kelly with special guest Kenny "Babyface" Edmonds (Ticketmaster.com). General admission tickets to the Soul Train Weekend Late Night Party at LIGHT nightclub will be available at a later date to be announced. Additional information and ticketing can be found at SoulTrainWeekend.com. San Francisco, CA – VIZ Media, LLC (VIZ Media), the largest publisher, distributor and licensor of manga and anime in North America, gives NARUTO fans the opportunity to expand their personal collections with the release in November of UZUMAKI NARUTO: ILLUSTRATIONS, a new, full-color art book featuring works from the NARUTO series by its acclaimed creator, Masashi Kishimoto. Original NARUTO ninja adventures in fiction form are also set for release in early November as VIZ Media announces NARUTO: KAKASHI’S STORY, the first of a new series of NARUTO prose novels focusing on key characters from the series and complemented by original cover art by Masashi Kishimoto. Masashi Kishimoto made his first-ever international professional appearance as an exclusive Guest of Honor at New York Comic Con 2015 this past month. The NARUTO manga series finale, Volume 72, was released in print and also digitally on October 6th, 2015, bringing the long-running ninja action adventure to its thrilling conclusion. UZUMAKI NARUTO: ILLUSTRATIONS MSRP: $19.99 U.S. / $22.99 CAN · Available November 3rd! The third full-color art book from the hit manga series NARUTO! Experience Masashi Kishimoto's artwork in all of its colorful glory in this collection of images from the finale of the best-selling Naruto manga! Naruto, Sasuke, Sakura, Kakashi and all your favorite characters appear in nearly a hundred pages of gorgeous full-color images. The book also features commentary from Masashi Kishimoto, a beautiful double-sided poster and a sticker sheet! NARUTO: KAKASHI’s story MSRP: $10.99 U.S. / $12.99 CAN · Available November 3rd! In the first in a new series of prose novels straight from the worldwide smash hit franchise, Naruto’s allies and enemies take center stage in these fast-paced adventures, with each volume focusing on a particular series character. In NARUTO: KAKASHI’S STORY, a year has passed since the Fourth Great Ninja War, and Kakashi’s appointment to Hokage looms. But first he heads to the Land of Waves for a dangerous mission rescuing hostages from a top secret airship. There he confronts a ninja whose heart is frozen by tragedy. Having lost both his friend’s eye and his greatest abilities, can Kakashi really protect anyone? What is the true meaning of the will of fire gained in the distant heavens? Kakashi finds these answers and more as he opens the door to a new ninja era. PARAMOUNT PICTURES AND SKYDANCE MEDIA ANNOUNCE START OF PRINCIPAL PHOTOGRAPHY ON "JACK REACHER: NEVER GO BACK"
HOLLYWOOD, CA – Paramount Pictures and Skydance Media today announced that principal photography has commenced on "JACK REACHER: NEVER GO BACK," starring Tom Cruise (the "MISSION: IMPOSSIBLE" franchise, "EDGE OF TOMORROW") and directed by Edward Zwick ("THE LAST SAMURAI," "BLOOD DIAMOND"). Production will take place in New Orleans. The film is set for release on October 21, 2016. The new film, a sequel to 2012’s "JACK REACHER," is based on author Lee Child’s 18th book in the bestselling Jack Reacher series, Never Go Back. The film is written by Richard Wenk ("THE EXPENDABLES 2," "THE EQUALIZER"), Marshall Herskovitz ("LOVE AND OTHER DRUGS," "THE LAST SAMURAI") & Zwick. Cruise is producing alongside Don Granger ("MISSION: IMPOSSIBLE – ROGUE NATION," "JACK REACHER"), Skydance Media’s David Ellison and Dana Goldberg ("MISSION: IMPOSSIBLE – ROGUE NATION," “ EOSTORM"), and Christopher McQuarrie ("MISSION: IMPOSSIBLE – ROGUE NATION," “ ALKYRIE"). The executive producers are Paula Wagner ("WAR OF THE WORLDS,” "THE OTHERS") and Herb Gains ("THE JUDGE," "NON-STOP"). "JACK REACHER: NEVER GO BACK" also stars Cobie Smulders ("How I Met Your Mother," "AVENGERS: AGE OF ULTRON"), Danika Yarosh ("Heroes Reborn," “ hameless"), Austin Hebert ("Bonnie and Clyde"), Patrick Heusinger ("QUANTUM BREAK," "GIRLFRIEND’S GUIDE TO DIVORCE"), Aldis Hodge ("STRAIGHT OUTTA COMPTON," "A GOOD DAY TO DIE HARD"), and Holt McCallany ("Blue Bloods," "GANGSTER SQUAD"). Tom Cruise is a global cultural icon who has made an immeasurable impact on cinema by creating some of the most memorable characters of all time in legendary films such as "TOP GUN," "JERRY MAGUIRE," "RISKY BUSINESS," "MINORITY REPORT," "INTERVIEW WITH THE VAMPIRE," "A FEW GOOD MEN," "THE FIRM," "RAIN MAN," “ OLLATERAL," "THE LAST SAMURAI," "EDGE OF TOMORROW," "THE COLOR OF MONEY," and the "MISSION: IMPOSSIBLE" franchise among many others. A consummate filmmaker involved in all aspects of film production, Cruise has achieved extraordinary success as an actor, producer, and philanthropist in a career spanning over three decades. A three-time Academy Award® nominee and three-time Golden Globe Award winner his films have earned over eight billion dollars in worldwide box office alone— an incomparable accomplishment. 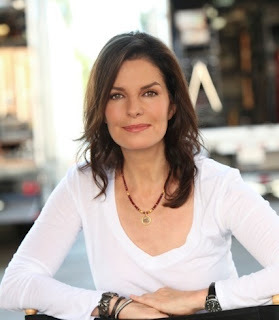 Emmy-Winner Sela Ward Joins EPIX's Original Series, "Graves"
NEW YORK--(BUSINESS WIRE)--Premium TV network EPIX® announced today that the Golden Globe® and two-time Emmy® award-winning actress Sela Ward has been cast to star with Nick Nolte in Graves, a single-camera, half-hour, political satire produced by Lionsgate. Ward will play Margaret Graves, the wife of former U.S. President Richard Graves (Nolte), who decides to follow her own political ambitions just as her husband embarks on a Don Quixote-like journey to right the wrongs of his administration. Ms. Ward replaces Susan Sarandon who departed the series due to artistic differences. Production has commenced in New Mexico. Chris Hemsworth Talks "Avengers: Age of Ultron"